P.S. The temps here in FL have been so up and down lately. I don't know about y'all, but I am SO over cold days. 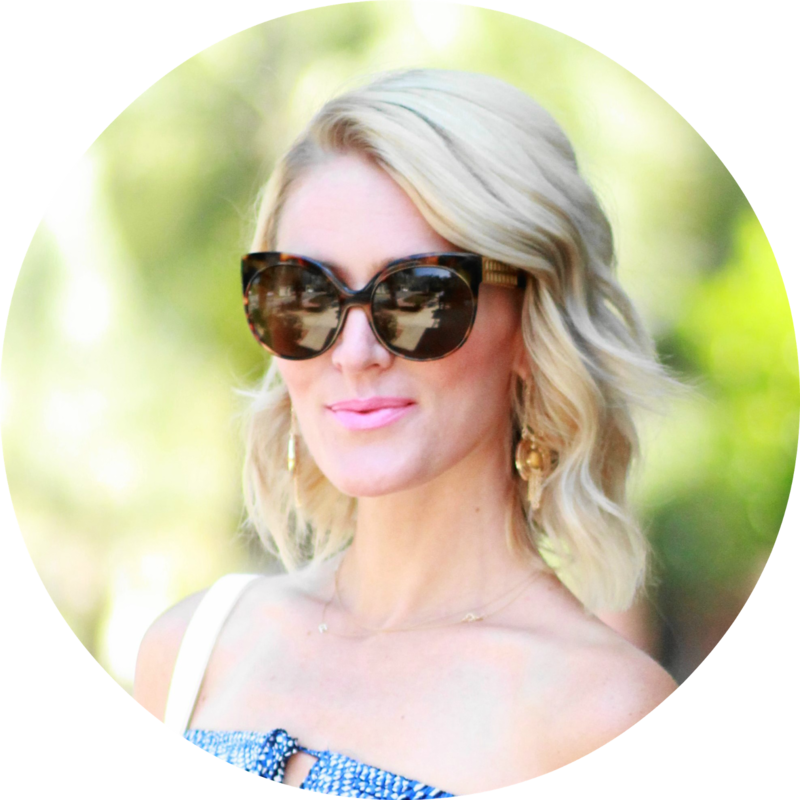 Bring on warm sunshine ... weekends and the beach ... tan skin ... I'm so ready. Who's with me?! 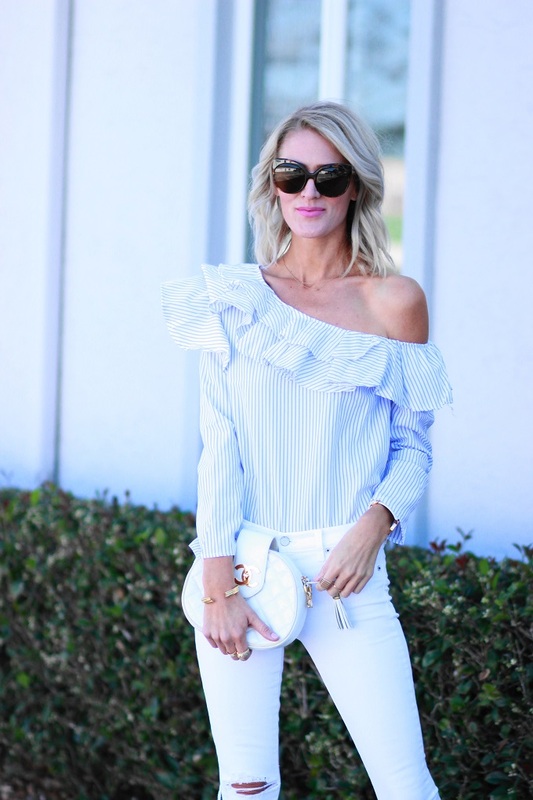 Love how your top features two of my favorite trends this season...ruffles and off the shoulder! Oh my!! 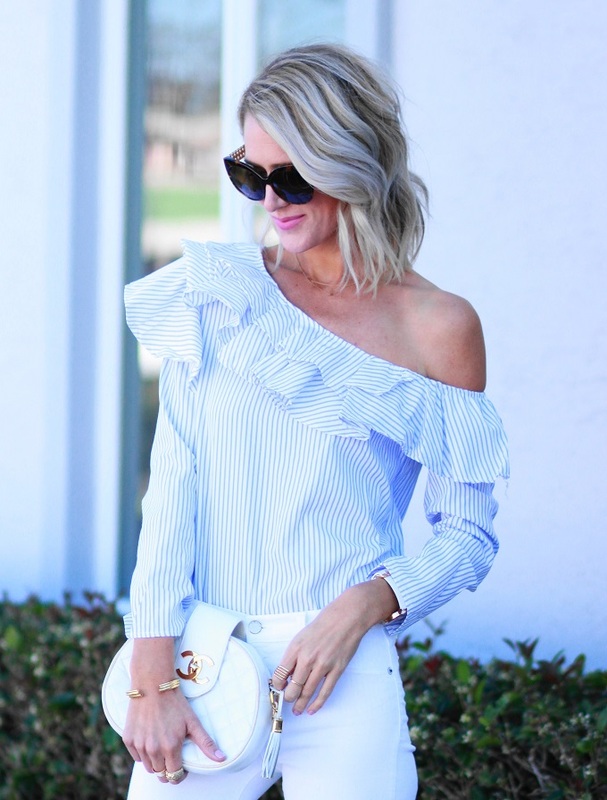 You have never looked better! 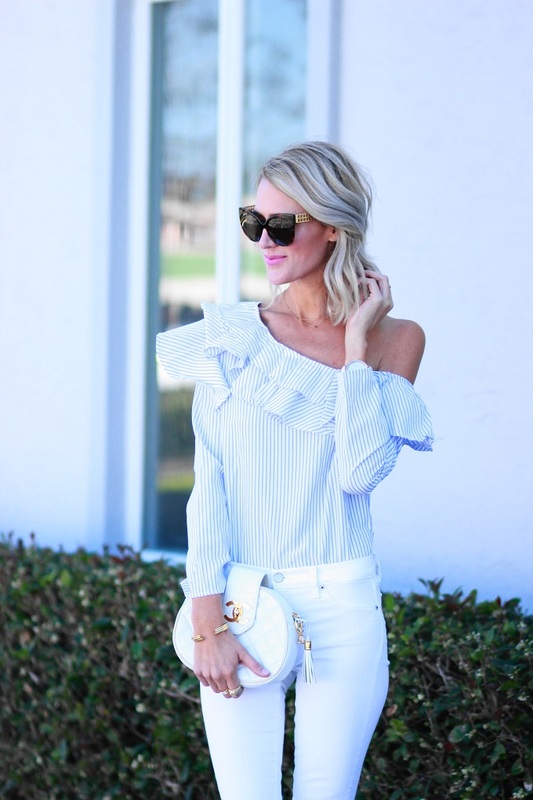 This is a flawless outfit and I'm loving your ruffled top! 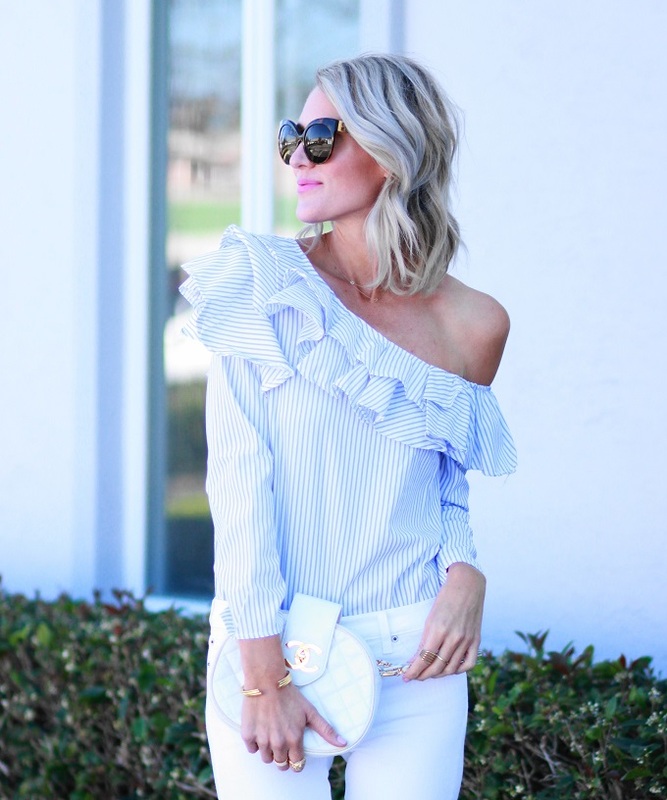 This ruffle blouse is lovely, I love how you styled it!